Q : I get some warning Email messages saying “Warning: Re-launch process [qthttpd]” in QNAP Turbo Station NAS, what does it mean? A : The message “Warning: Re-launch process [qthttpd]” means the system restart because of Web Server’s error. It may result from a great deal of data access from internet, such as hacker attack. To ensure the system operation, the service “qthttpd” would be restarted. However, if the NAS works well, please ignore the message. To avoid the problem, you are suggested to install NAS behind the firewall. This Error caused because of corruption of configuration file, and you can fix this with installing default configration back again. Also you can backup your conf. 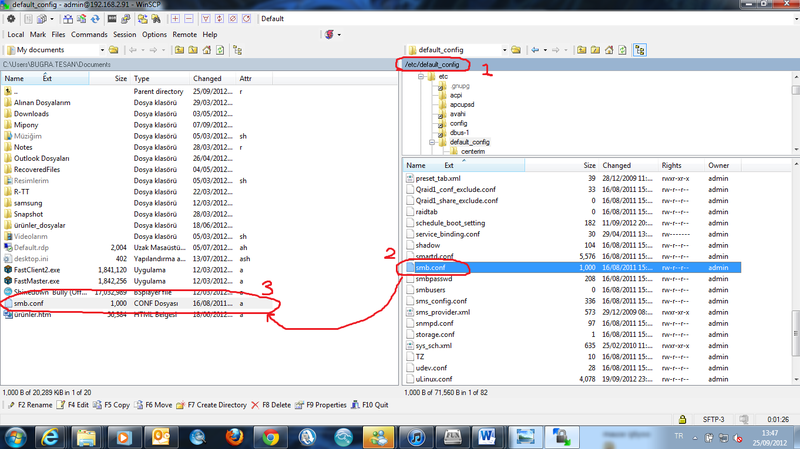 file, then Reset Whole system and Restore configuration, but this doesnt fix problem and same errors will accure. 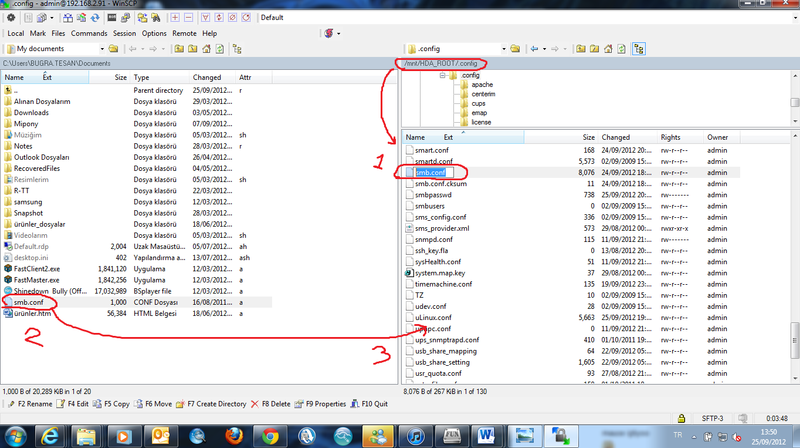 Simply Copy config file -which gives error- from /etc/default_config to /etc/config/ and Reset Qnap. Example for this error; Level: Warning Re-launch process [smbd] Just Change smb.conf with original default conf. file. 3 – go to /etc/default_config and Simply choose smb.conf and drag this file to your computer. This file is Qnap default and working samba configration file! 4 – Now go /etc/config/ and change your original smb.conf name (example smb_old.conf). This file is your corrupted samba file. If problem exist, Please request help from Qnap Support Taiwan. Download Putty, and Type these command to copy back Default configration Files. Level: Warning Re-launch process [smbd]. “You can also stop this error with closing / Disabling service about this. Level: Warning Re-launch process [stunnel]. 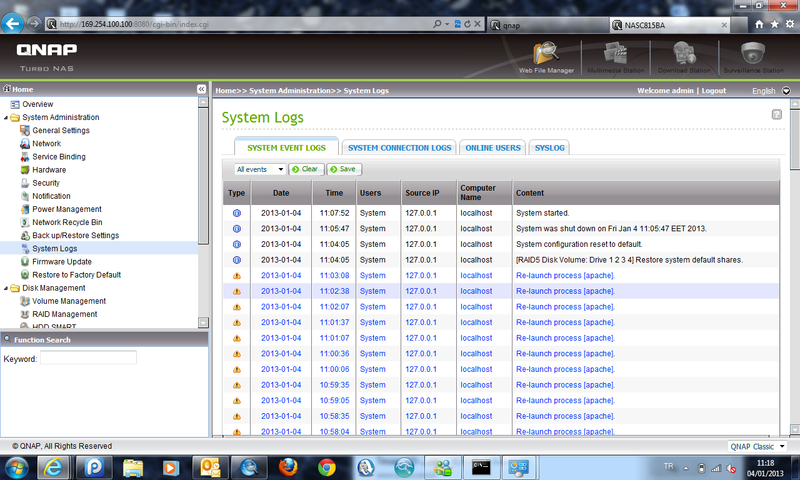 “Ps : One of Qnap user wrote he fix this error with closing services, but Havent Test this one yet! 1. Disable and uninstall every single QPKG application. 2. Disable the mySQL database. 3. Disable FTP service. 4. Disable the web server. 5. Disable web file manager. 6. Disable media station. 7. Disable download station. 8. Disable UPnP media server.